Stuart Rock has gained an excellent reputation as a trusted, Checkatrade approved locksmith in his local neighbourhood of Blackwater, near Camberley in Surrey, as well as further afield in the counties of Hampshire, and Berkshire. This reputation, combined with a professional approach, reliability and expertise of a wide range of locksmith services, makes Stuart the right choice - your trusted local Locksmith in Camberley. Rocks Locks is a family-run locksmith company, offering a range of local locksmith and home/business security services. Stuart has extensive experience in locksmithing. He learnt the tools of the trade as a Lockrite franchisee, which gave him the opportunity to get his locksmith business established and take advantage of the fully certified intensive training courses, which taught him every aspect of locksmithing and security, from simple lock repairs to using advanced techniques like 'impressiong'. Having built up a successful business as a Lockrite franchisee, and a loyal customer base, Stuart decided that 2015 was the perfect time to leave the constraints of the franchise and Rocks Locks was formed. Rocks Locks van is fully fitted out, a mobile workshop packed with quality tools, replacement locks and various lock devices and handles, so you can be sure Stuart will have the equipment he needs to help you, especially in an emergency. ‘In 2010, after years of working on the pay roll as a Contracts Development Manager for a diamond and drilling company, I decided that with a growing young family I wanted a better work- home life balance that would enable me to spend more time with my family and to build a business that will provide a solid foundation for the future. After much research, I found myself drawn to the services associated with home security and locksmithing, and since purchasing the Lockrite Locksmith franchise, I have not looked back. Since starting our Locksmith business, and undergoing intensive training for all locksmith-related services, we have steadily grown the business and expanded our client base, mainly through recommendation, and now provide regular locksmithing services not only to domestic customers in Surrey, Hampshire and Berkshire, but also to commercial clients such as letting and estate agents, local councils, maintenance and construction companies. 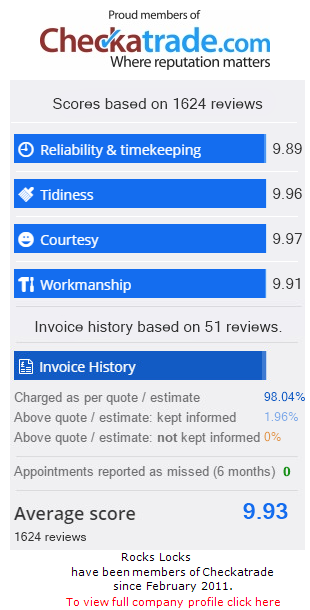 As a growing business, I have also expanded on the services that we offer, and in addition to the standard Locksmith works we now offer boarding-up of windows and doors after damage and the supply and fitting of replacement glass from single and double-glazed windows, including UPVC glazing. We also offer more home and business security services, including installation of alarms and CCTV.